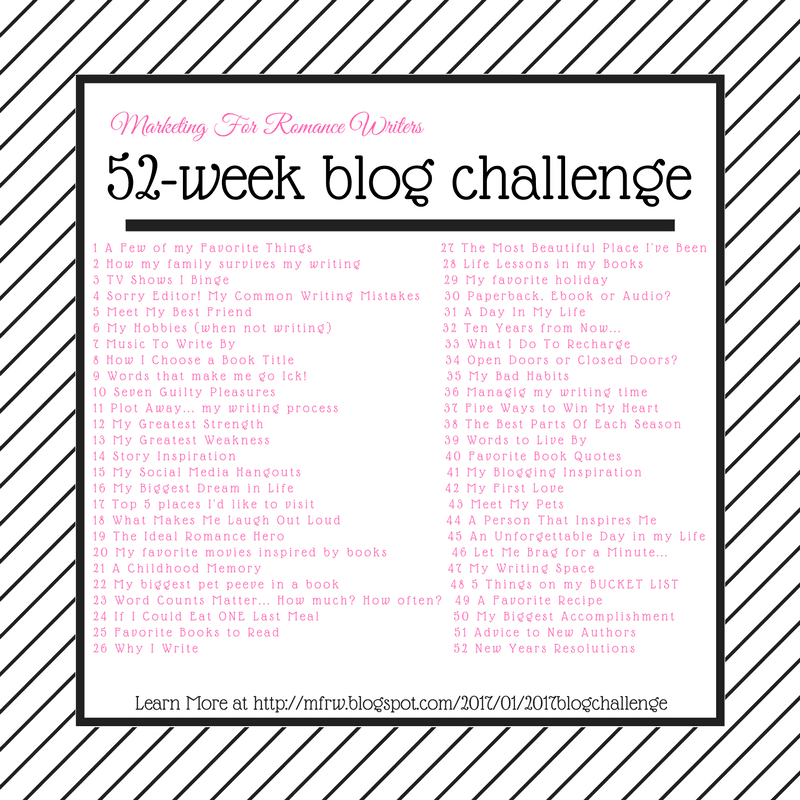 Welcome to week 8 of the MFRWauthors blog challenge. This week’s prompt is How I Choose a Book Title. It isn’t as easy as it sounds and it’s another of those things each author has their unique way. Sometimes my title comes to me and generates the story other times they elude me. Like Baseball Bats and Cowboy Hats. I do love this title, and it has shaped the story. But the story has grown some, and I am not one hundred percent sure this will stay the book’s title. Also, It has generated the idea for at least one Spinoff a MM romance I simply call Simon Plus Two, since I do not have a title. I also have a sequel or another spinoff, so I am considering using BaseBall Bats and Cowboy Hats as the Series Title instead of a book title. A book is like a child to an author. We give birth to the characters, creating them watching them grow, then suddenly it’s time to let them grow and get out into the world spreading happiness and love to our readers. But our readers won’t take our babies into their homes if their names aren’t catchy enough to grab attention. As a reader, I am very picky about titles. I find I do tend to pick up titles with nothing but Names especially if in a series. Especially if that name is above a hot cowboy, military man or firefighter. I digress. How do I come up with a title? Sometimes it is a song that stirs me, a name that gives me a character inspiration, or as in my most recent case a commercial. I am so excited about this one. I have a folder full of ideas. Half have titles the other only working titles such as James and Logan ( a MM contemporary) and Ninety Days a working title. Once I finish the stories, I hope a title will emerge from the sea of words and I will scoop it up with my writers net and give it a home. What kind of title do you like? Do you like one-word titles? Names only? Do you like the title to be in the story at least once if not a few times? Let’s go see how the other come up with their titles! I don’t think I’ve read any books where the title was simply a name. Now I’m going to spend the day trying to remember if I have. That will take work as I have a terrible memory. I like titles that give me an idea of what to expect in the book. LOL Meka you sound like me I have a terrible memory. I’ve read books called Heath, Striker, Quinn. A MM author I read had an entire series with just names they were catchy too like Trick, Trask Red, Wyatt there are more and Em Petrova has some Cowboys.Buck etc ( I read way to much) I also like titles that tell me what the story will be about. Thanks for stopping by! I don’t mind one word titles or names as long as the title matches the cover and blurb to give me a hint about the story. When seeking my own titles, I know I have the correct one for the book when it feels “right” and reflects the story or characters. Thanks for stopping By Mary. I agree I think a title really needs to reflect the story. I like short succinct ones too. I tend to go with names for titles, too, with a tag. Shane: Marshal of Tallav for example. I often think of books as the story of the main male character, so maybe that’s why.